Women are traveling more than ever and taking solo trips in greater numbers each year. Before stepping onto the plane or getting behind the wheel, here are a few tips for safe travels. WASHINGTON — Travel is one of life’s great pleasures. Women are traveling more than ever and taking solo trips in greater numbers each year. A 2014 Booking.com survey found that 65 percent of U.S. women are taking vacations without their partners. And, according to REI Adventures, 58 percent of their guests were women, and they are designing more of their travel adventures for women. But with this increased travel comes risks for women who are traveling alone, for business reasons or for pleasure. According to a survey commissioned by AIG Travel, 45 percent of female travelers feel less safe or much less safe about traveling than they did five years ago. The reasons behind those concerns? Twenty-four percent of women travelers suffered an adverse situation when traveling on business, such as theft, physical assault, attempted kidnap and intruders in hotel rooms, according to a Maiden Voyage Women in Business Travel Survey. There are many things that women can do to protect themselves, their families and their valuables when they travel. Preventive planning is key, so before boarding the plane, take the time to consider these travel safety tips. If the hotel does not have a safe, or if you are staying in another type of lodging like an Airbnb, keep your important documents with you at all times. Have some cash (i.e. local currency) on you and know your currency exchange rate — not all places will accept credit cards, especially if you are traveling in more remote areas. Notify your bank and credit card companies of your upcoming travel destinations and dates before you leave the U.S. to avoid having your overseas charges denied. This will put them on alert and more vigilant to any suspicious activity while you are traveling. Inquire and confirm your smartphone provider’s international data plans and costs before you leave. 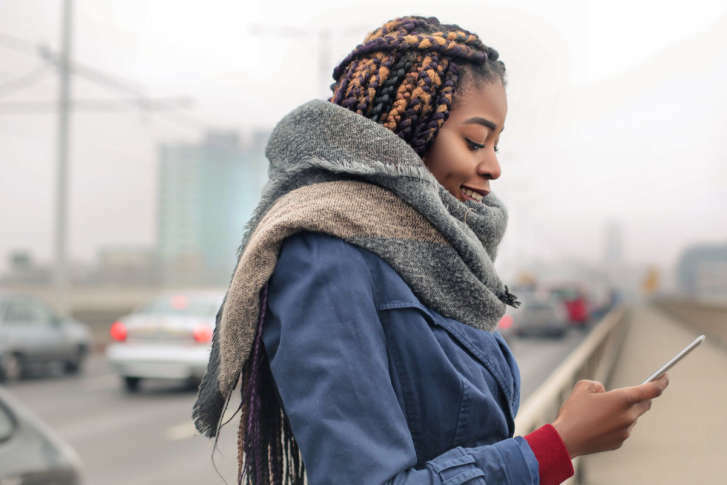 Some wireless providers have temporary international data, text and calling plans for reasonable daily rates that you can activate while you are traveling. Call them before you go to make these arrangements. Another alternative is to use WhatsApp to text and call when traveling. WhatsApp provides an additional layer of protection when texting and calling outside the U.S. through end-to-end encryption — meaning that your messages and calls are secured so only you and the person you’re communicating with can read or listen to them, and nobody in between, not even WhatsApp. Don’t trust free Wi-Fi and avoid using free Wi-Fi at internet cafes, airports, hotels and other public spaces. Do not open or respond to unfamiliar emails or text messages. According to the Identity Theft Resource Center, 76 percent of their survey takers admitted that they knew using free Wi-Fi can lead to identity theft, yet 71 percent of them admit to using public Wi-Fi to log onto personal email, 11 percent do online banking and 13 percent shop online using a credit card. Instead, consider using a mobile hotspot from your smartphone. Just make sure that it’s set up with security and a strong password to prevent others from using your data on your dime. Don’t wear flashy or valuable jewelry. Never charge your mobile devices by plugging directly into public USB ports. While this may be convenient, keep in mind that these ports are communication channels, and if they are compromised, they could infect your data. Instead, charge your devices by plugging a portable USB connector directly into a physical plug. The only thing that is transferred is the power to recharge your device. Lastly, be smart about your social media postings to avoid hackers and stalkers tracking your movements by providing too much real-time information. This is especially important to convey to your young adult children who may be traveling without you. Go to the U.S. State Department’s travel site: This website provides a wealth of helpful information for any country you may be visiting, as well as specific passport, visa and vaccination requirements, travel advisory messages and specific security alerts. Make sure you know the location of the closest U.S. embassy for your destination and have this information readily available. Enroll in the Smart Traveler Enrollment Program: Download the app on your smartphone. This is a free service that allows U.S. citizens traveling or living abroad to receive updated safety and security messages, and make it easier for the U.S. Embassy to locate you in an emergency, whether natural disaster, civil unrest or family emergency. You just need to sign up once, and then add trips later for all your future travels. Go to the AIG Travel for Women website for travel safety tips: As a global insurance provider, AIG’s Travel for Women has plenty of helpful tips. There are too many to list in this particular article, but here are some worthwhile security tips, particularly for women traveling alone: never hang a sign asking for your room to be cleaned, as this announces that no one is in your room; ask for two hotel room keys and keep one in your purse and one on yourself; and organize your belongings the same way every time so you know if something has been tampered with or moved. Review your medical insurance policy coverage: Check to see if your medical insurance covers you outside of the U.S. and what your specific coverage includes. As an example, when I called my group health insurance provider, I discovered that overseas emergency room care was covered for $150 per visit after meeting my deductible. I was also covered for several other medical services based on my out-of-network terms. Consider travel insurance options: While consulting with a local personal insurance broker, Myrna Smith of Willis Towers Watson, I discovered there are several different types of travel insurance available for a reasonable fee. For example, you can buy individual trip cancellation with or without medical evacuation coverage, as well as annual travel policies for those who travel frequently throughout the year. Also important is knowing that you have 24/7 emergency assistance. It may be a phone call to find a local doctor who speaks English, or an emergency airlift evacuation, or even security assistance in the event of political unrest. Having the peace of mind that expert worldwide travel assistance is available may be worth the fee. Consult with your insurance agent to determine what plan is best for you. For those with young adult children, many enjoy traveling abroad. It’s not uncommon for them to start at a young age, while still in high school or college. In addition to the travel tips and resources mentioned here, there is one more piece of advice that parents or guardians need to keep in mind. Once a child has turned 18 years old, he or she is considered an adult. Without the proper legal documents in place, a parent or guardian does not have the legal right to obtain medical information or make any legal decisions on the child’s behalf anymore. This is true even if your son or daughter is covered under your health insurance plan. While medical providers are permitted to exercise professional judgment if the young adult child patient is incapacitated or, in emergency situations, providers often come down on the side of patient privacy, especially if they have never met the family member. There is no better time than before an upcoming trip — domestic or overseas — for parents or guardians and their young adult children to sit down and review the appropriate forms to handle medical emergencies or other legal matters that may arise. These forms may be found online or can be prepared by an attorney. Medical or health care power of attorney, or POA: By signing a medical or health care POA — aka health care proxy — a young adult appoints an “agent” such as their parents or guardian to make medical decisions on their behalf in case they are incapacitated and cannot make these decisions by their self. Each state has different laws governing medical POAs and, therefore, different legal forms. You can access downloadable forms at the American Bar Association. A medical POA form may also include HIPAA disclosure authorization. If it does not, a separate HIPAA authorization should be signed. HIPAA authorization: A signed HIPAA authorization permits health care providers to disclose your young adult child’s health information to the person the child assigns as their health care “agent” for a designated time period or indefinitely. Durable power of attorney: A durable POA is a legal document that authorizes a trusted person that your adult child designates to act as their “agent” or “attorney-in-fact” (even though the person may not be an attorney) and remains valid even if the adult child is incapacitated. Since this trusted person as “agent” can step into your adult child’s shoes to legally take care of business on their behalf, your child should only give this type of authorization to an adult they truly trust and who has their best interest at heart. This legal document gives broad powers and should be taken very seriously as it may not be appropriate in many situations. We recommend that you consult with your financial adviser or attorney in preparing these legal documents. Lastly, once these forms are signed, it’s a good idea to scan and save them electronically so they are readily available on a smartphone or computer. You should also keep the original forms in a secure location for safe keeping. By planning in advance and taking a few common-sense precautions, you and your family can relax and enjoy your travel adventures, wherever they may take you.